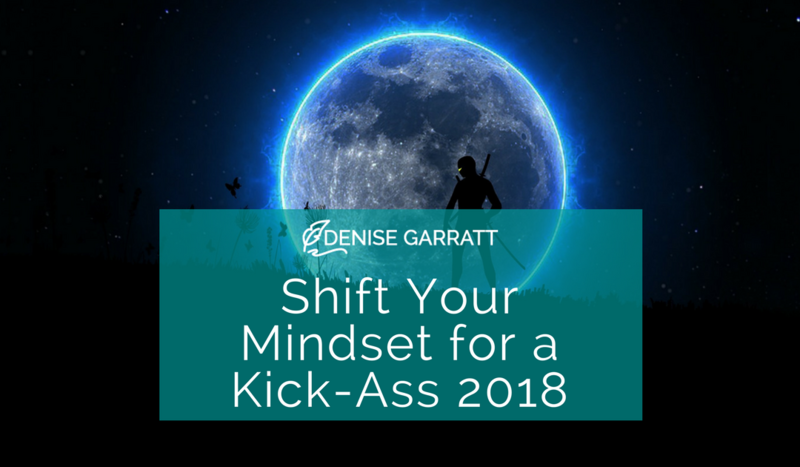 Shifting your mindset sounds like a secret Ninja skill. What does it mean? According to Carol S. Dweck, Ph.D., Author of Mindset: The New Psychology of Success we either have a fixed mindset or a growth mindset. In the most basic terms, people with a “fixed” mindset believe we’re all born with a specific set of traits and intelligence that can’t change. In contrast, people with a “growth” mindset believe our intelligence and talent can change and grow through our efforts and experiences. The fixed vs growth mindset gave a name to patterns I saw in my own family. The dramatic impact mindset had on their life gave me a first-hand look into the future. More on that in a later post. For now, Let’s focus on one way to shift to a more productive mindset. It might not seem like it, but perfectionism works against you. As a recovering perfectionist and workaholic, I can tell you that working an unhealthy number of hours to make everything perfect is a bad strategy. It leaves you drained and prone to errors. Without self-discipline and hard deadlines, perfectionism soon turns into procrastination and burn-out. In my case, I had a twisted mantra that said the only thing worse than death was mediocrity. It created a mentality where every little thing had to be perfect and nothing ever felt good enough. I held myself back by not putting out work or ideas that felt less than perfect. According to Dweck, the fixed mindset creates a need to prove yourself to others time and time again – a common trait of perfectionists. A growth mindset always open to learning understands that ten good ideas that can be implemented right away are always better than one idea that took a year to perfect. A closed mindset drives you to create unrealistic expectations that keep you from starting or finishing your most important goals. Striving for excellence is different than making perfection the end goal. Know the difference and keep yourself in check. To do this, find an accountability partner and create an actionable plan. Meet on a regular basis to review your progress. Your accountability partner should be supportive and able to give you productive feedback while establishing realistic milestones. Commit to completing action items within the established timeline. Nothing will change if you don’t do the work. If this is the first time you’ve worked with an accountability partner, look at it as a great foundation for building a growth mindset. Stretching yourself by trying something new definitely falls into the mindset you want to adopt. The more you do it, the easier it becomes. If you feel yourself becoming nervous or self-conscious in a new situation – remind yourself that you’re in a learning situation and perfectionism is not your friend. Allow yourself to be a student, keep an open mind and know that you are changing your mindset. And then, congratulate yourself. I’d love to hear from you – what do you want to change this year? The story we tell ourselves about who we are and what we can do starts before we ever set foot in school. Fascination with people and success came early in my life. It started with my family—wondering what made my dad want to work for someone else when three of my uncles worked for themselves at different points in their lives. 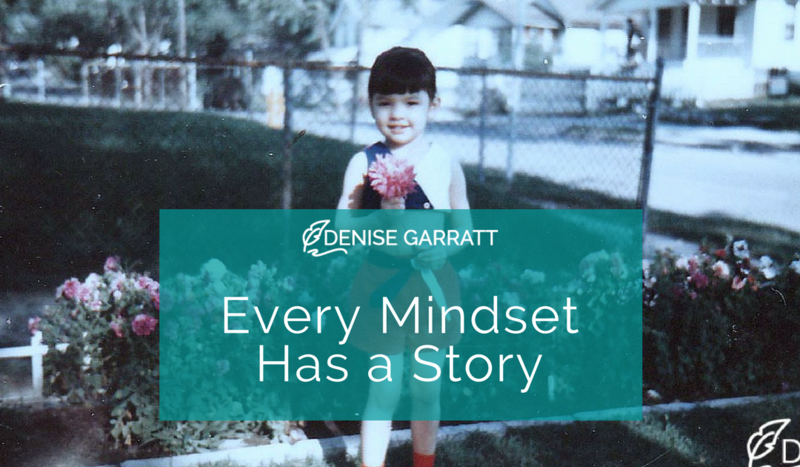 Our family dynamic and the world I grew up in gave me a lifetime of lessons and case studies in what we know today as “mindset.” In other words – I was a nerdy kid who loved to watch people and try to figure out why they did what they did. My Dad was a creative at heart. He loved art, music, and dancing. Dad was happiest with a paintbrush in hand, cigarette in an ashtray, and music blaring in the background. He believed all artists starved, so he chose not to make it his living. With me – an asthmatic daughter to support, the health insurance plan at the factory was a no-brainer for him. Unfortunately, the job offered zero creativity, and it left him unhappy. Uncle Joe was in the service during WWII. He had the discipline to get up at O’Dark thirty and the last thing he wanted was to take orders. Like Dad, he was a creative at heart. He could free-hand design plans, sculpt with clay, and was a singer before he lost his hearing during the war. Back in the day, he started a local magazine and created all content, ads, design, and photography. The magazine filled a need, and he believed in it enough to keep it running for several years. He continued to work for himself but over time drifted away from creative work into another love–restoring classic cars and then, the work that just paid the bills. The more he drifted from his creative side, the unhappier he became. Uncle Frank was somewhere in between. His creativity came out in story-telling. That man could spin a yarn as well as Frank McCourt. He worked for GM in Quality Control and sold real estate on the side. That gave him the ability to control what he earned while getting the benefits GM offered and the stability of a regular paycheck. He enjoyed and took pride in both areas of his work. It allowed him to buy a cabin on the lake and the freedom to escape into nature when he needed it. Each of the brothers grew up in the same household with the same parents yet each held a different belief of what they were capable of. Their beliefs drove the career choices they made, which affected their quality of life, which touched the lives of everyone around them—including myself. In following posts, I’ll delve deeper into the thoughts they held and how they contributed to the decisions they made and my lifelong fascination with mindset. What belief about yourself has helped you the most in life? Please share in the comments.